Urban Oasis and the Outdoor Project. First day in the States and we ended up on a new adventure. Pulling up at Montlake park in Seattle Tara and I meet Tyson and Tyler who are part of the Out Project, and online adventure guide website. OP and TRAK had paired to promote Sea Kayaking on the site and the benefit of using TRAK kayaks for Urban adventures or more wild ones. Today was about me making sure they were comfortable with the boats, and also to discuss how I could help them create the content they needed for the website, and along the way that meant we ended up on an Urban Kayak adventure at the same time. All four of us put on the water and paddled around the corner to a crazy little place called the arboretum, a place where idyllic Lillie pads and ducks swam about on the glassy serene waters, while busy freeways ran over top, held above the water by concrete stilts. The place was a contradiction to the senses and extremely surreal, you eyes computed to your brain, tranquil japans garden style lake, yet your ears at some places where screaming you’re in the middle of a freeway junction, and over all you felt like you where in a part of a city that was being taken back by the wild. Tara could not handle the conflict and paddle back to the park, while the boys and I explored a bit more. I was totally fascinated by the whole situation, so bizarre yet so great for those who cannot escape the city easily to find wild beauty. It almost seemed an “ideal” situation to me... Tara scoffed at this suggestion though what I mean is “ if you are going to have a city, this is a great way to incorporate nature in to it, if we could do this to 90% of each city... we would be a huge leap further ahead towards living in tune with nature”. It also became apparent there were some reasonably challenging waters to deal with in the urban waterways of seattle.. as we paddled through a canal between lakes, the boats where big and did not slow for kayaks, rapidly the water went from calm, to boat wake swell and rapidly shifted again to a confused sea state as waves refracted of the walls and merged with the swell making some solid calapotiss waves, your average beginner paddler could struggle with these conditions for sure. Last night Tara and I crossed into the USA, thought not before we had an “EPIC” Surf Ski adventure. I had just spent a day helping install the new amazing custom” ‘Yak Wagon” roof rack that now enables 16 x 7 feet of storage space on the roof of the bus, and after an evening paddle in Deep Cove North Vancouver, the day ended with a pleasant long sleep in the ‘Yak Wagon. The fun part here is that Tara had never been in a surf Ski before, both of us had not done down wind surf ski runs before, though we both had super strong cross over skills, so we were exited by the novelty of the idea. Earlier in the week, Tara had paddled a K1 racing kayak around the lake without falling in, so combined with her solid rough water expedition and white water paddling skills, she would be all good. After visiting Deep cove to discuss TRAK kayaks, I confirmed with Bob we would come, and we loaded a ski on the Wagon and off we went to Porteu Cove, here we meet the rest of the crew we were paddling with, and they all had slight nervous doubt when Tara and I told them we had not paddled surf ski’s in conditions like this, and in Fact Tara and not used either a surf ski or a wing paddle before. Bob knowing the backgrounds of both Tara and I, had a kind off sly twinkle in his eye it seemed. Tara was a little nervous about it all, though I knew she would be fine and joked with her about it. Soon we were on the water and it was so much fun, the speed, the surfing of waves, and water in the face, along with the challenge of a different vessel in advanced conditions, all added up to 2 hours of great fun. The biggest thing I learnt this day was to read the waves 2 -3 sets in front of you, in order to predict where to steer the ski in order to keep catching and staying on surf able waves. And by god it worked, a revelation for my skill set right there, awesome. Charging up Howe sound hooting hollering, and ripping along in 3 foot wind waves with 35 knot winds at our backs we all to soon found ourselves in Squamish estuary, ducking and diving amongst the kite and wind surfers, to get into the harbour. Soaked head to toe with big smiles and aching muscles, we helped load up the ski’s and then it was off to have beer and pizza at the local brew pub. What a fun day and yet another paddle discipline I want to indulge in. Who would have thought we would have had a laugh at the border crossing with immigration officials, I guess there is a first for everything. Soon we were in the USA , with a fully kitted out ‘Yak Wagon, a lots f different Kayaks, and the realisation suddenly hit me.... the Yak About Adventure with TRAK Kayaks and the TRAK on Tour had really begun, this will be a lot of work, though will also be a lot of fun. I am finally on the Road; the TRAK on Tour project has begun, I will be spending the Northern summer traveling the West Coast of North America from Canada to Mexico and back and so far it is a fun challenge of balancing work and life on the road with the need for a life slightly apart from work, and getting some white water boating in. My old bus has been wrangled into service and will be transformed over the next couple of weeks into a rolling billboard and house for the trip. So far I have visited Shops on Vancouver Island from Victoria to Campbell River, though the fun really started once I crossed on the ferry across to the Sunshine Coast. This area is an old stomping ground, and it was great to catch up with old friends the first night at dance party in Lund (at the end of the road heading north). The next week was a good balance for shop visits from Lund to Gibson’s landings with some great kayak fun, Paddling sea kayaks and K1’s out from Lund and then Ripping it up at Skookumchuck narrows at a 14knot current forming an awesome late evening wave that allowed stunning sunset surfs. I got to share the wave with some of the Team Pyranha kayakers, including Dave Fusilli and Hailey Mills, it was inspiring and humbling to paddle with these great boaters, and I even managed to help amp them up about rough water sea kayaking at the same time and teach them a few tricks. Between a TRAK Seeker, a Jackson Karma RG and a P n’ H Hammer there was a great representation of Sea Kayak/ Long boats, alongside the little Carbon Jed play boats that the team had. The wave was big and quick to form at this tide exchange and the foam pile was large and surging. I started in the TRAK Seeker making the most of the big green face and small erratic foam pile. It is always exhilarating to get big fast carves out of the the Seeker especially on a large fast wave like this. soon the foam pile was to large a prominent and I switched to the Jackson Karma. The Karma mad good with the big pile, being able to side surf, back surf and almost flat spin. The nose was quick to engage and ender and at one point I almost got a front loop out of the 11.5foot beast. a couple of hours later I was exhausted and the eddy fence into the wave had got to big that the Karma RG wasn’t getting across. I at this point below a firey orange sunset sky, had a surf in the Hammer and with its slightly longer length and rockered nose it was still possible to drive on to the wave while all other boats had to walk up above the wave and then drop in. Soon the darkness settled in and we had to leave the wave ( still roaring and asking to be ridden) behind as we all headed to lay our heads and sleep. Unfortunately the next day I had to keep rolling, though longed to stay and play on the wave for the coming week. I said goodbye to the Pyranha team and would see them again in a few days the MEC paddle Fest in Vancouver and a week later in Victoria. 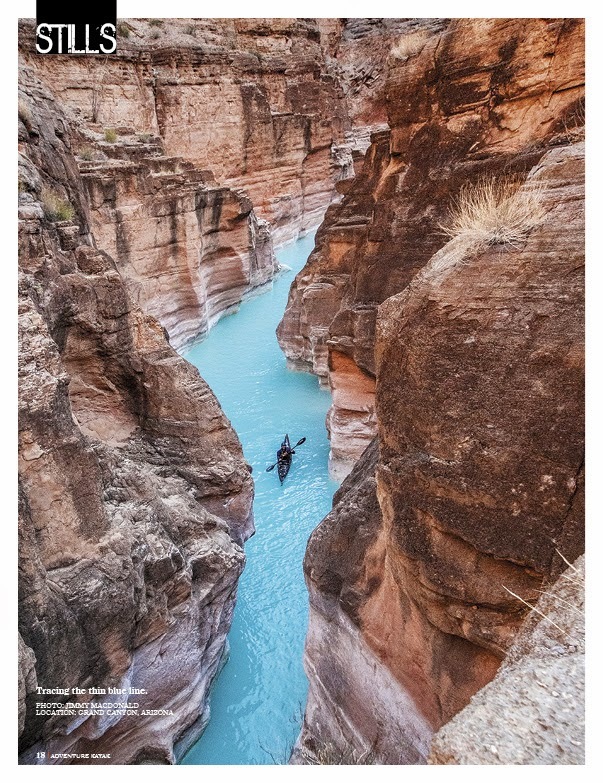 My second published article is out in the new addition of Adventure Kayak Magazine, this time I was asked to share some pointers I have learned about getting great photography results from the Gopro in the field. I felt quite humbled by the opportunity to be published amongst a feature article with a group of amazing photographers like Erik Boomer and Freya Fennwood. The change of the months brought the second PPS event in Victoria. At this event I was representing TRAK Kayaks, though also I was the official videographer. The PPS event is held at the amazing venue that is Pearson College and is located in an isolated bay near the southern most point of Vancouver Island. It was awesome to roll up and be part of such an awesome event and enjoy the company of old Kayaking buddies, Like Rowan Gloag, James Manke, Matt Nelson, Kate Hives, Costain Leonard, JF Marleu, Allie Carroll, to name a few, and also to make many new friends such as David Johnstone, Alex Mathews, Nigel Foster, Michael Pardy, James Roberts, Dympna Hayes and many more. This “symposium” is literally more than that; it is a “retreat”, a kids camp for big kids. The grounds are idyllic and reminiscent of Hogwarts from the Harry Potter novels, there is water access right into a sheltered cove that itself opens up to the exposed southern coast of Van Isle and Race Rocks. On grounds there is a pool for controlled coaching sessions, and expansive green space and quite buildings with amazing views to hide away from the crowds amongst. There is yoga in the mornings and the accommodations and food and are wonderful, hearty and filling. This event is limited to around 140 attendees including volunteers and organisers. So this means just over 100 participants can attend. Last year it sold out in 36 hours, this year it was 26. This event is in high demand, and after a long weekend at the event I can see why. One of the most amazing parts of the Symposium for me was to get out to Trail Island, this place is a restricted conservation area, not only is it right off the southern end of Van isle exposed to all the roughest weather the winds can throw at it, it is also not a place the public can access. getting out there is a real privilledge and in fact i felt like I was visiting the South Georgia Island of the coast of south America. All that was needed where penguins, other than that there were Sea Lions and elephant seals all over the place, a true gem and I am glad it is un touristic and kept simple and barely disturbed with its one lighthouse keeper guardian. I got out on the water a couple of times, most notably with Nigel Foster for Paddle control, and then with Bob Putman and Alex Mathews to work on Surf ski skills. Both where great learning chances for me, it was also great to meet fellow Lendal Paddle Team members James Roberts and Dympna hayes, I very much am endeared to both of them and want to spend more time getting into trouble with them in the future. Other than that I was quite happy filming some great stuff, enjoying the grounds and mingling. I have captured some great footage and I hope to have a short film together on it shortly, though I am leaving up to Janette (PPS co-ordinator) to get more thorough use out of what I shot. I hope I get back again next year!